In a large bowl, dissolve yeast in lukewarm water. 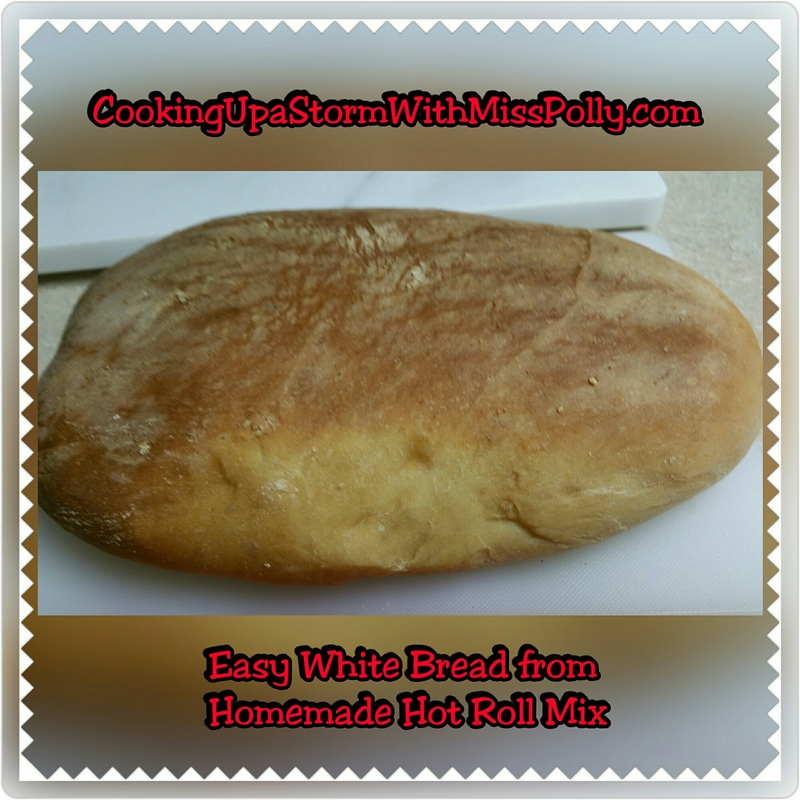 Add the hot roll mix one cup at a time, until the dough is stiff. 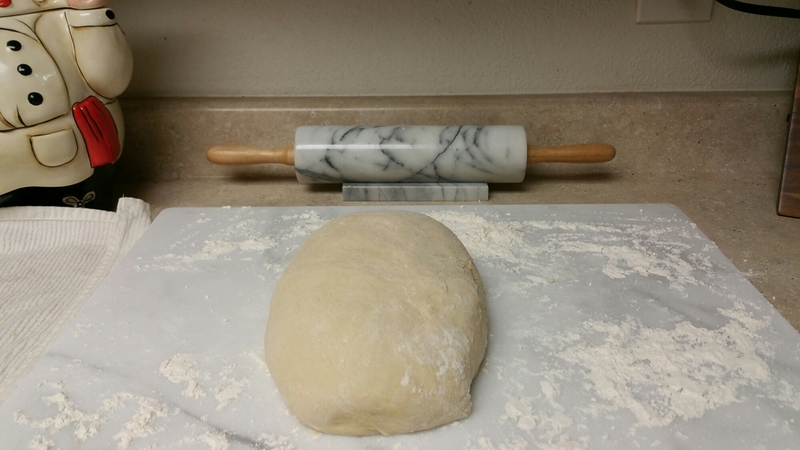 On a lightly floured surface knead to 5 to 7 minutes, until smooth and satiny. You and also need with your KitchenAid mixer or other professional makes hear about 10 minutes with the dough hook. 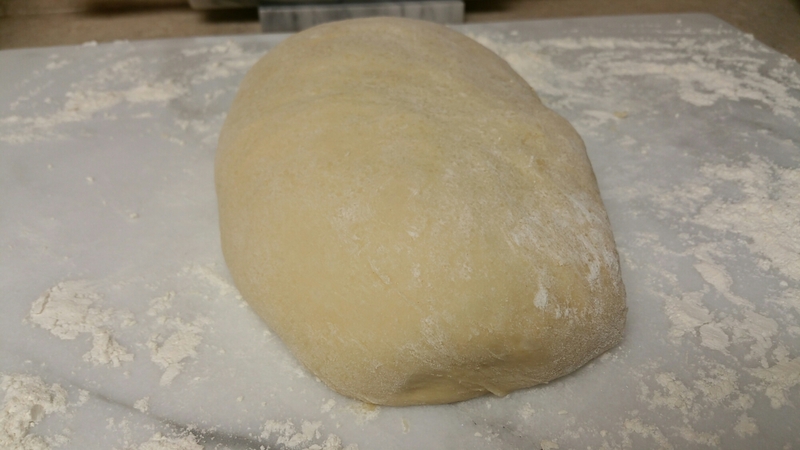 Cover with a damp towel and let rise in a draft free place until doubled in bulk, about 45 minutes. 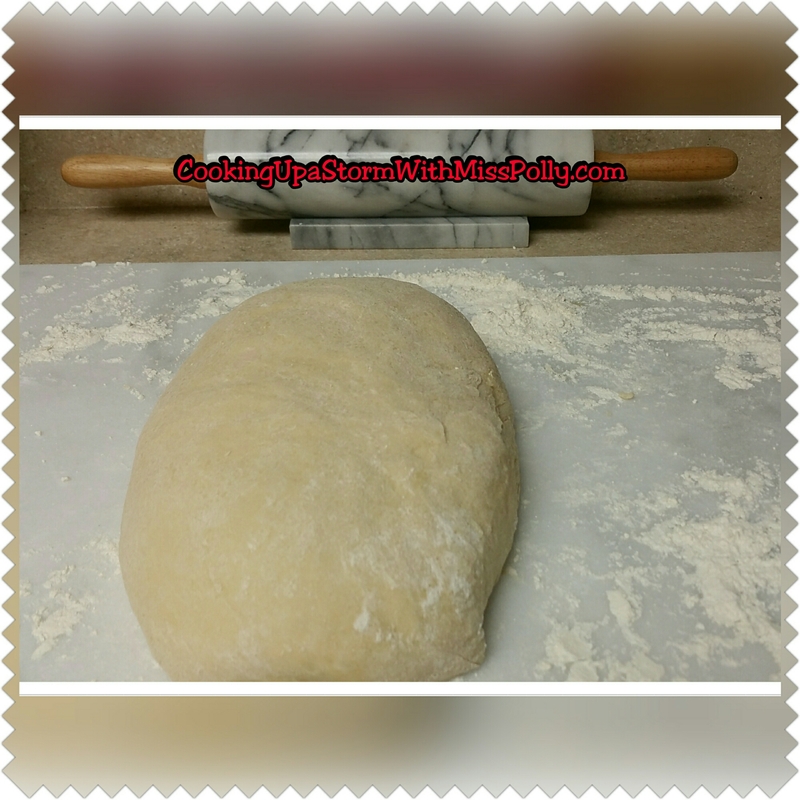 Punch the dough down and then let stand 10 minutes and shape into two loaves. 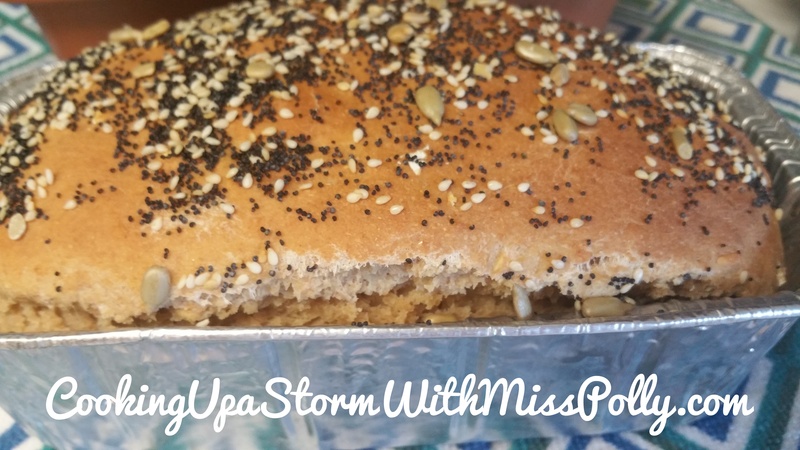 You can bake these free form like I did without a loaf pan, ungreased aluminum foil, or you can grease two 9 by 5 loaf pans and bake them in there. 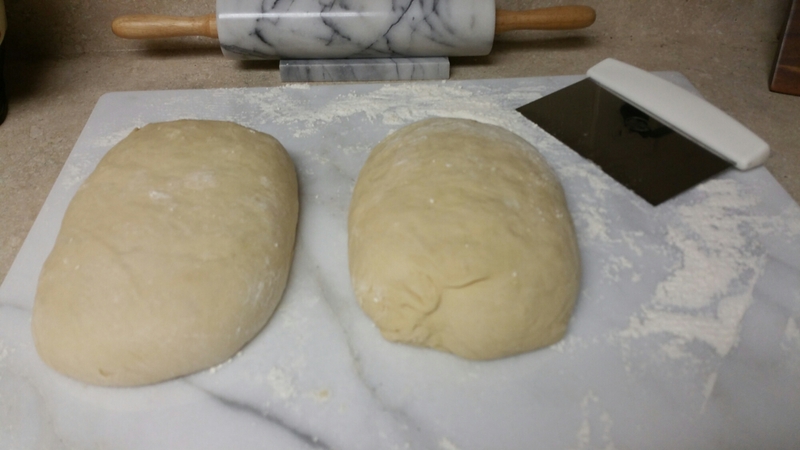 Place the seam side down in loaf pans and then cover and let rise until about 30 or 40 minutes. 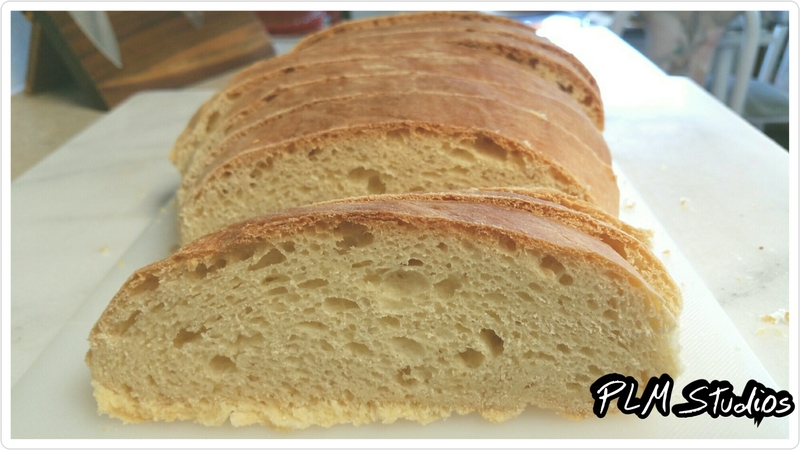 Pre-heat your oven to 350 degrees and bake about 40 minutes, until deep golden brown. I sprayed with water every so often while the loaves were baking, with a little spray bottle filled with water I got at my local drug store. I keep the little bottle by my yeast and salt by my Kitchen Aid Mixer. Remove from the oven and brush with butter if desired then remove from pans and cool. Just 4 ingredients- and all you do is mix it really well and you can make all kinds of things. Mix all ingredients really well with either a wire whisk or the Whisk attachment on your KitchenAid mixer and then store in a very tight sealed container or na large Ziploc bag. This makes 22 cups of hot roll mix. August 30th, 2016 at 8:09 a.m.
What did you cook or bake this week? Any bakers out there?